Local Katie Reeder shared some great family activities going on this fall in Alpharetta, GA, an upscale community 22 miles north of Atlanta. 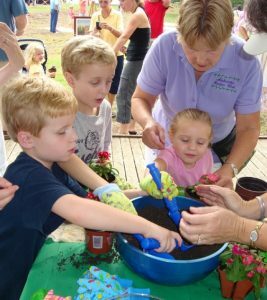 Old Milton Country Fair: Celebrate the history and heritage of the community at a good old-fashioned country fair. Barbecue and blue grass music, old-time carnival games, heritage and country crafts and demonstrations, pony and train rides, historic exhibits, classic cars, storytelling and more! Named a “Top 20 Event in the Southeast” by the Southeast Tourism Society. Milton Center at Log Cabin. Saturday and Sunday, September 12-13; 10 a.m. – 5 p.m.
Ironkids Triathlon: The IronKids National Event Series was started in 1985 and has seen more than 40,000 participants in its history. The series is a swim, bike, run competition for ages 6-15. Distances vary with age. There will also be fun activities for families. Wills Park. Saturday and Sunday, September 12 – 13. Alpharetta FunFest & Classic Car Show: Much more than a car show, the FunFest has something for the entire family. The Kids’ Zone includes a petting zoo, arts and crafts area, rides and games. Enjoy entertainment throughout the day and evening. Free admission; located at North Point Mall (home to the Southeast’s only American Girl Boutique and Bistro) and North Point Center East. Saturday, September 19; 11 a.m. – 6 p.m.
Crossroads in Crabapple Antique and Arts Festival: 50 American Country Antique Dealers and 50 juried local artists are featured at this one day only annual show in Historic Crabapple. Food vendors, children’s activities and roaming musicians. Downtown Crabapple. Saturday, October 3; 9 a.m. – 5 p.m. Looking for some outdoor fun? Why not geocache to discover the thousands of caches hidden throughout the city? Be sure to make time for the 13 hiking trails within a 20-mile radius of Alpharetta and don’t forget to stop by the Downtown Alpharetta Welcome Center where you can pick up complimentary brochures for the city’s two arboretums and History Walk – all of which make for great self-guided walking tours. They’re so excited about your arrival, they’ll even help you pack by giving away a five-piece luggage set to one lucky winner. Register to win at www.awesomealpharetta.com or stop by the Downtown Alpharetta Welcome Center located on Main Street and pick up an entry form, maps, brochures, a visitor’s guide, and calendar of events. The contest runs from September – October, with the winning entry drawn on November 1, 2009. Plus, everyone who stops by the Welcome Center during September and October will receive a complimentary goody bag! For more information call the Alpharetta CVB toll-free (800) 294-0923, locally (678) 297-0102; or visit. www.awesomealpharetta.com. Find the best rates on hotels in Alpharetta through our secure booking site.